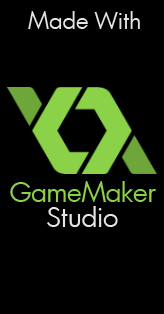 GameMaker first came to my attention around 2006 as a creation tool and engine for 2D games. While I had my doubts of it’s abilities, I was intrigued enough to try it out. I remember first spending a weekend with it, gradually figuring out the basics. While there were some quirks (and still are) of how GameMaker handles a few things, first impressions were rather good. It didn’t take long to ascertain that GameMaker does exactly what it’s meant to do. Developing games through it’s point and click interface was indeed a reality. Creating something more involved is also possible through it’s scripting language – GML. The long and short of it is that GameMaker is a competent and easy-to-use framework, primarily for 2D game development. However, users proficient in GML have been able to put together some impressive 3D games as well. Unfortunately there is a degree of prejudice towards using tools such as GameMaker, primarily emanating from quarters of the development community. Various perceptions exist that are not entirely grounded. There’s a tendency to believe that a professional product cannot be crafted with such engines – a false assessment considering the quality of games already delivered using GameMaker. Personally I do veer on the side that it would be better for developers to create their own custom engines. The reality is that this is just not a cost-effective solution in the long run. Months or even years developing an in-house engine could be better spent working on the actual game. No point in reinventing the wheel when off-the-shelf engines are capable of tangible results. Retro-style games are generally not very involved and therefore don’t overwhelm system resources. In fact, adding too many elements will effectively diminish a desirable retro-feel. Keeping a minimalist mindset is thus essential when creating such games. I’m using the latest iteration of GameMaker: Studio and have found that it’s capable of handling a great variety of complex, in-game systems and mechanics. It’s certainly not a package that is limited to crafting the type of indie retro experience that has become popular as of late. Another area that a tool like GameMaker: Studio comes in handy is for rapid prototyping purposes. Simple ideas may be implemented and tested in a matter of minutes. My hard drive is flooded with a bunch of prototypes and mini-games I’ve put together over the years. A few of those are fun and interesting enough to be turned into commercially viable games. Just requiring a bit more development time and polish to come into their own. As anyone reading this article can tell by now, my general experiences with GameMaker have been positive. I’ve enjoyed using this package as a hobbyist for several years now. While I’ve always wanted to release games in marketable form, other business and personal commitments made this difficult. A few relevant changes have occurred recently which affords me the opportunity to finally have a go at it. 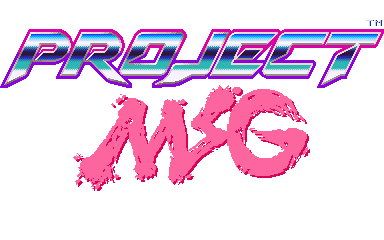 The games that I will be releasing under the 16-BIT Shock banner will be small in scale, bite-size experiences. Short development cycles will be scheduled for the majority of projects. Longer, ambitious titles are also on the radar but will be determined on how feasible these are. Either way I will strive to ensure that all titles are stylish and gloriously retro.